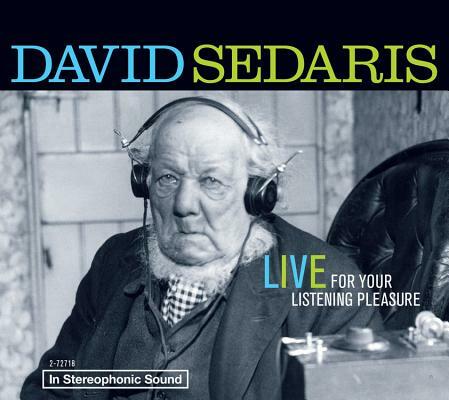 If you were lucky enough to have caught a performance on David Sedaris's most recent sold-out, 34-city tour, you already know that David Sedaris Live For Your Listening Pleasure is a must-have album! If you didn't hear it live and in person, then you're in for a treat-hilarious brand-new recordings from performances in Denver, New York, Durham, LA, and Atlanta, in one convenient audiobook collection, on sale November 24 for only $17.98. From the bold feral rabbits of his French backyard to the eating habits of a carnivorous bird Down Under, Live For Your Listening Pleasure takes listeners on a veritable tour of natural wonders, beginning with a fable, "Cat and Baboon," and moving on to the peculiarly American habitat of the "big-box" store.